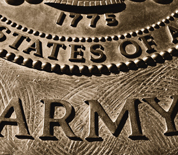 The United States Military Academy goes by many names including West Point, the Academy and the Point. Located on the Hudson River in West Point, New York, the Academy is responsible for providing four-year educational instruction to the Army's officers in training. The majority of the picturesque campus grounds were declared a National Historic Landmark in 1960 because of its history in military education and role in the Revolutionary War. The West Point campus contains numerous monuments and statues as well as historic athletic fields and the West Point Museum. This West Point Academy directory features the critical info you’ll need to navigate through the many facilities and recreational opportunities available on base.